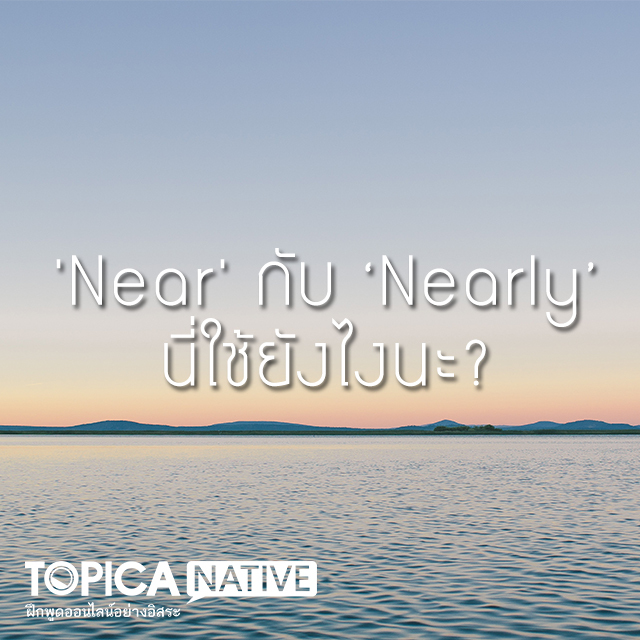 Home / communication / 'Near' กับ ‘Nearly’ นี่ใช้ยังไงนะ? ‘Near’ is an adjective, which means close. My house is near yours office. ‘Nearly’ is an adverb, which means almost. Your work is nearly perfect.